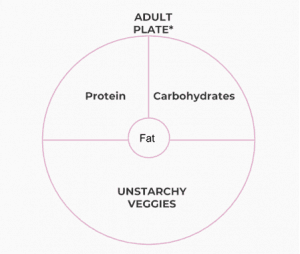 Four Square Foods is our version of “My Plate”. *Note: A child’s portion is different from the adult plate. Children need more carbohydrates because of their active nature. 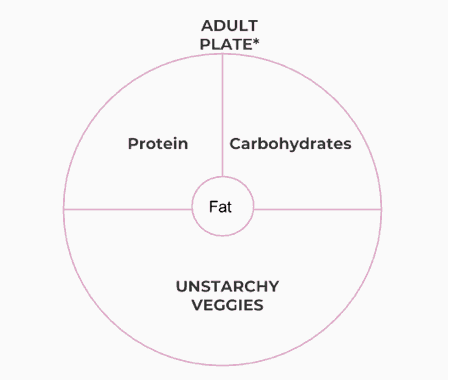 By switching Carbohydrates with the unstarchy veggies this gives them what their bodies need. Everyone need to eat many different foods, allowing for the body to get as many nutrients as possible.